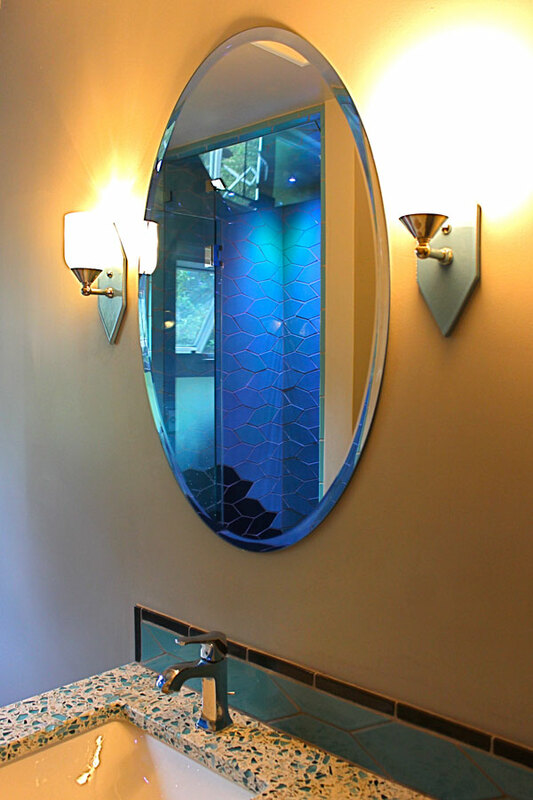 Set on the edge of a wooded canyon in San Mateo, this house underwent a major remodel fifteen years ago, designed by Arkin Tilt Architects. 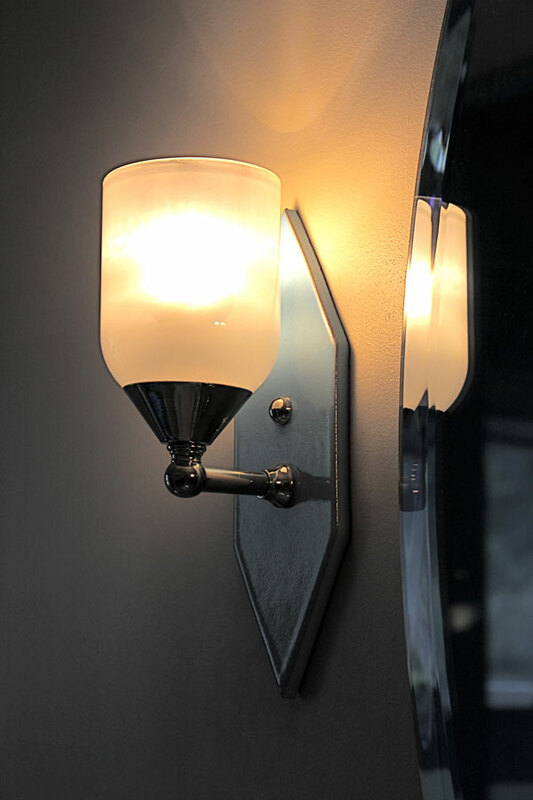 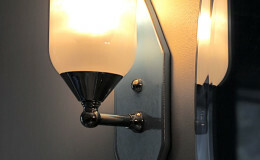 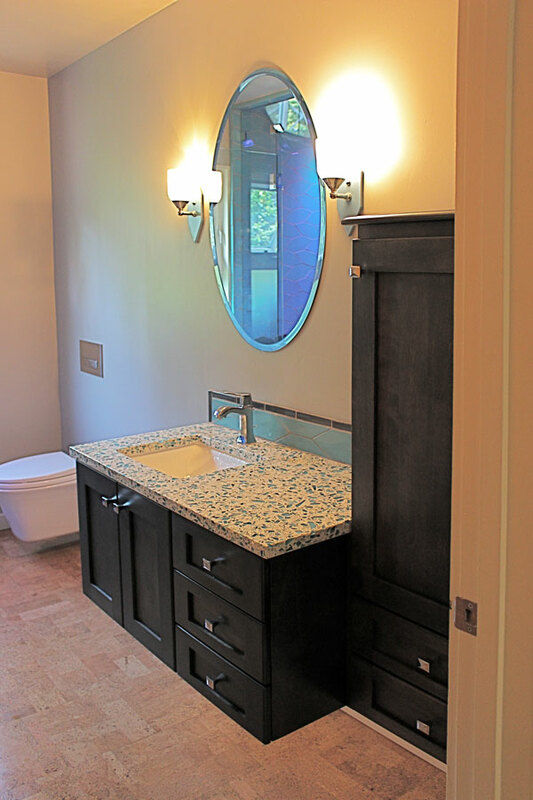 At the time of this last update, the two guest bathrooms were done simply, keeping the original fixture placement. 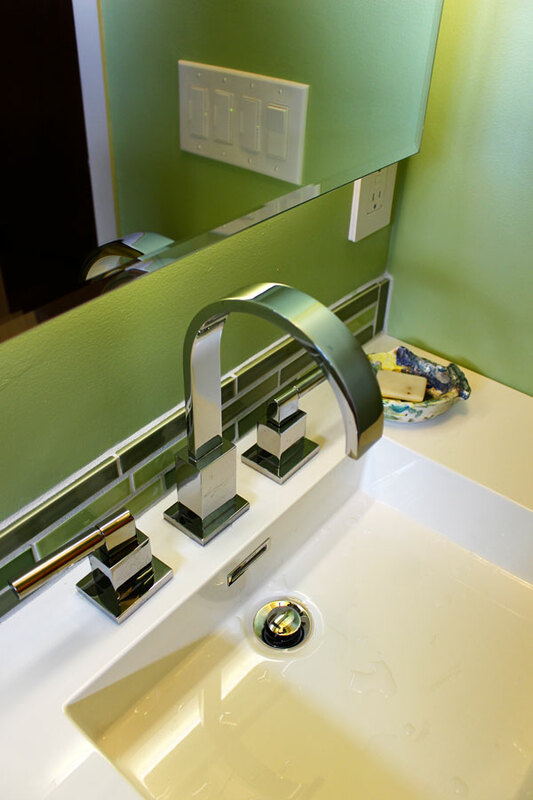 When the time came for a more substantial overhaul, we got creative. 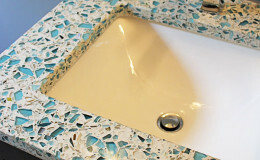 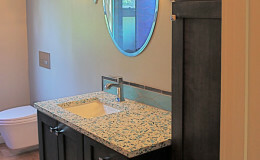 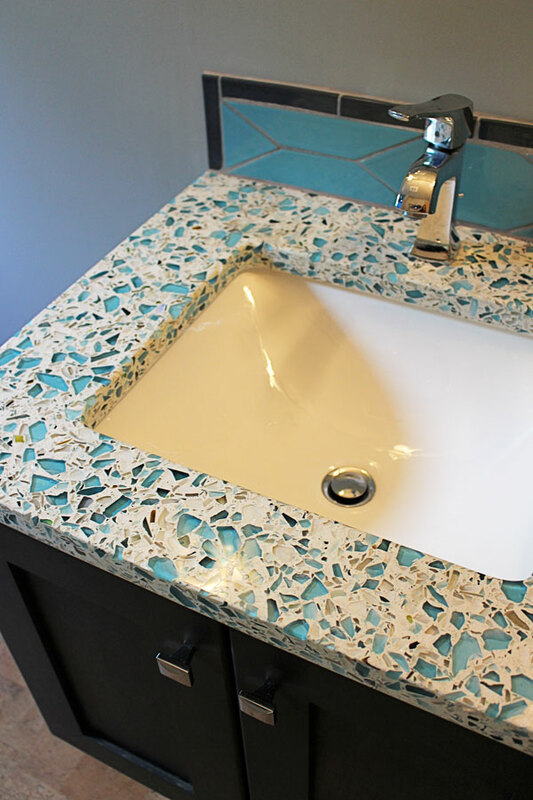 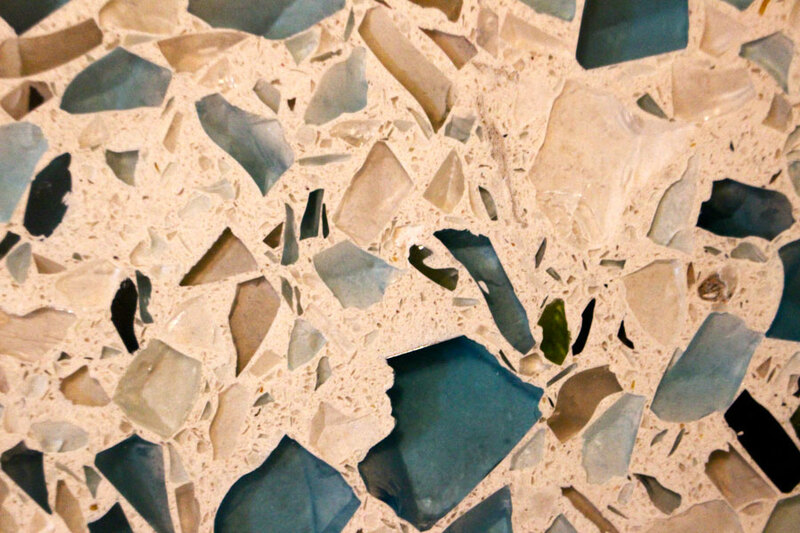 A remnant of Vetrazzo countertop, made from recycled architectural glass, inspired the color palette and forms of the blue bath. 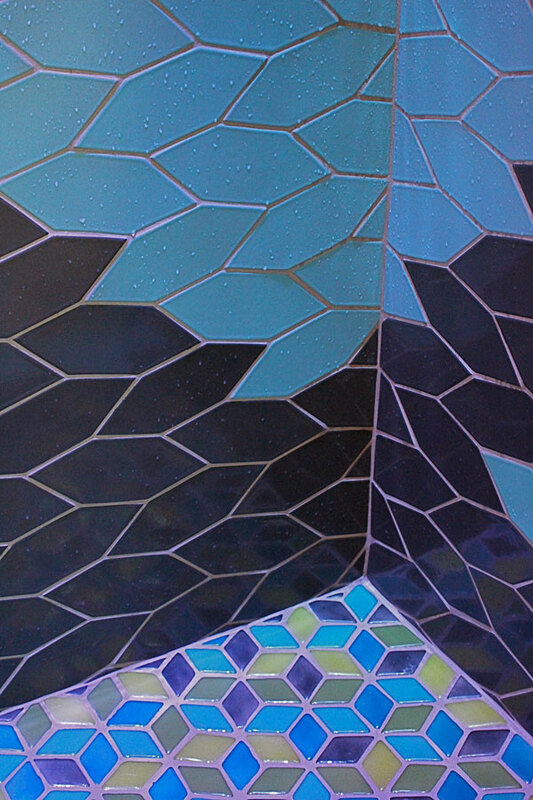 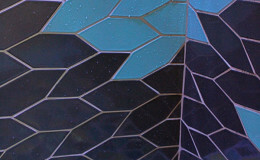 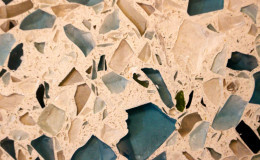 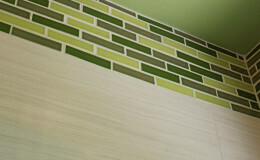 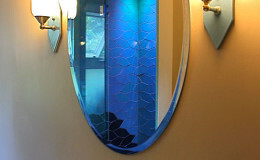 Picket tile from Fireclay echoes the shape of the counter’s glass shards, and is set in a triad of colors to look like water falling onto stone. 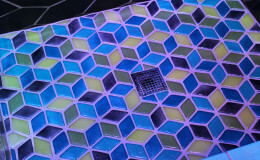 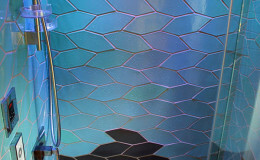 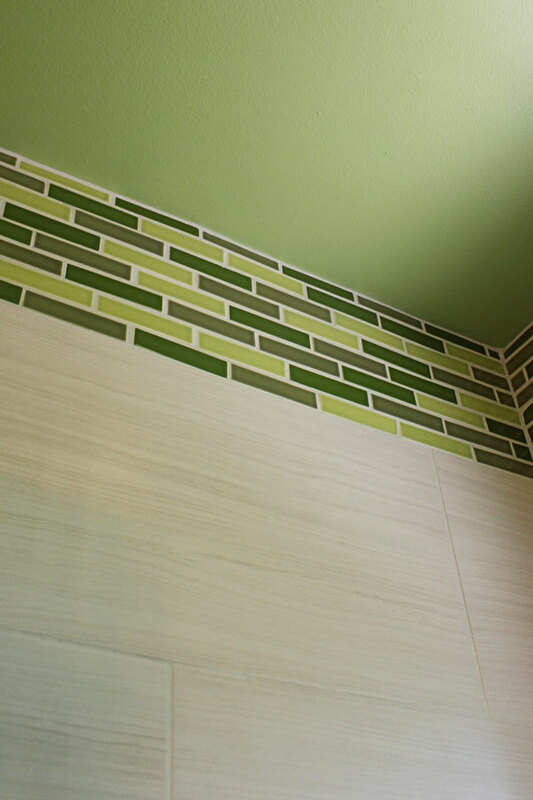 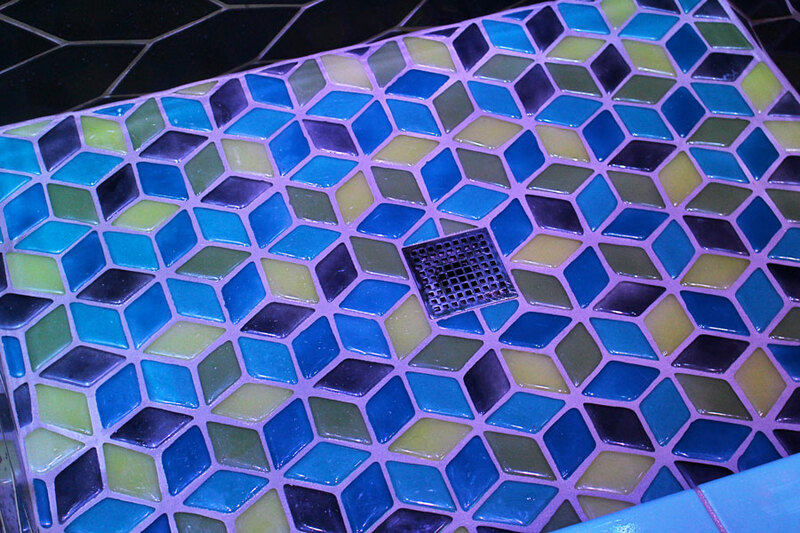 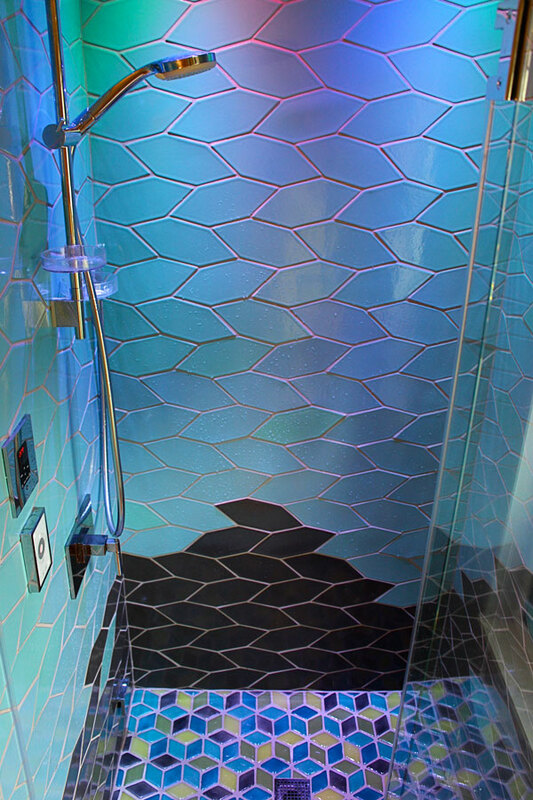 Color-changing LED lights highlight the edges of the handmade tile, making it come alive in the steam shower. 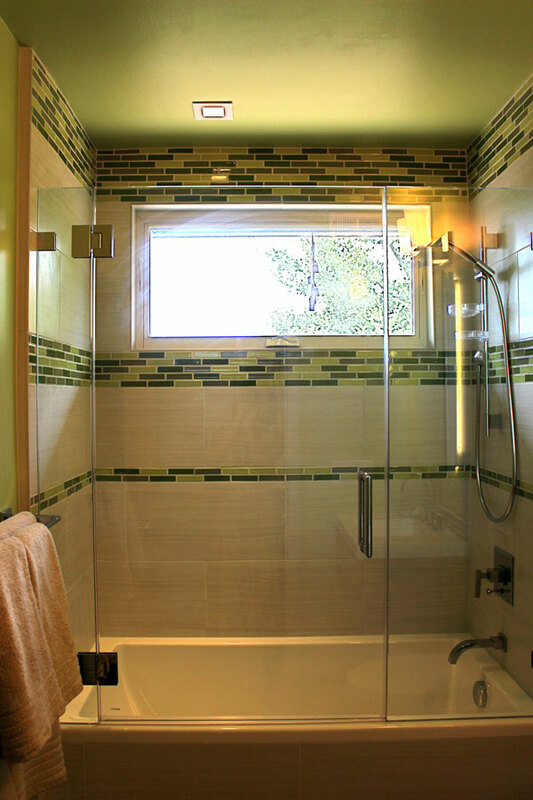 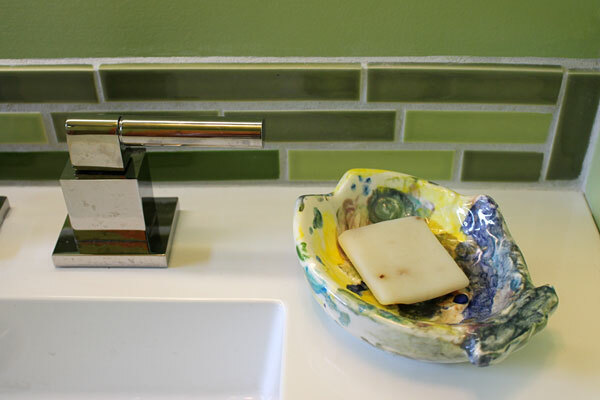 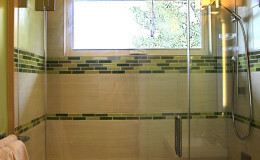 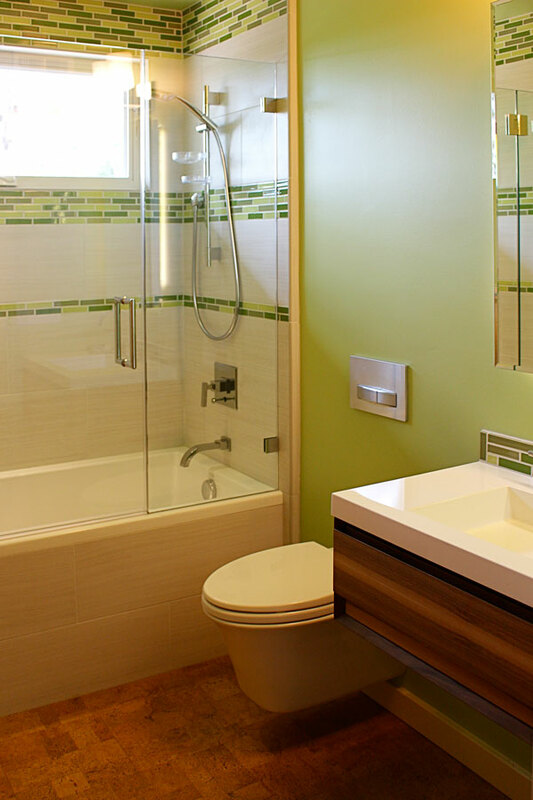 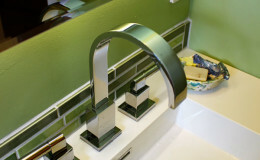 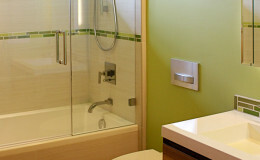 A touch of green in the pan ties it to the outdoors, as well as the bath across the hall.